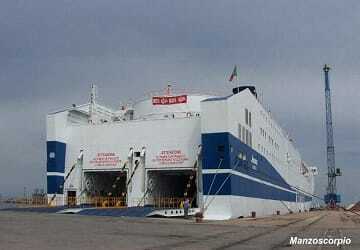 Along with its sister ships Bitha and Athara, Janas is 214 metres in length and 26 metres wide enabling it to carry around 2700 passengers and up to 900 vehicles in its large garage. On board you can select a variety of accommodation from any of its 320 cabins and first or second class seating. 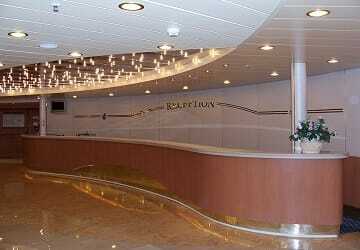 Facilities are mainly found on deck 6 which include 2 bars, cinema, children’s play area, self-service shop and restaurant. Please Note: Whilst we have taken great care in making our Janas guide as accurate as possible, onboard facilities, services and entertainment may vary depending on the date and time of year that you travel, facilities mentioned may change without notification and ferry companies reserve the right to operate vessels other than those mentioned at time of booking without prior notification. 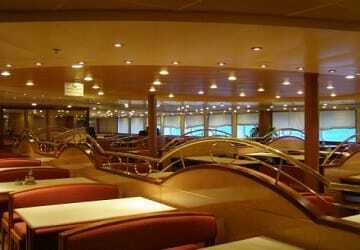 Hello I travelled with Tirrenia, gorgeous ship, clean and nice staff, but there is somenting bad: when I booked I selected 2 reserved seats but on board I was told that I selected 2 deck space, so I had to seat at the bar tables. We are really happy this crossing. Cleaning and services were good. But too many free dogs where going around the common areas, and the carpet was really poor and old. Coffee cost too much. 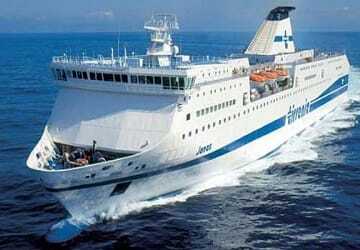 Really beautiful ship, kind staff, cleaning and punctuality, good restaurant service. Only flaw 12 hours for a 8 hours route. 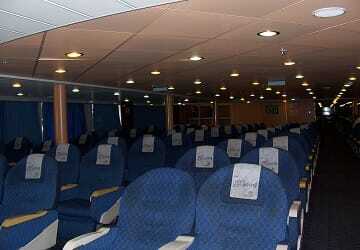 I'm very happy with this online booking on Tirrenia ferry. I love dogs but not the owners. 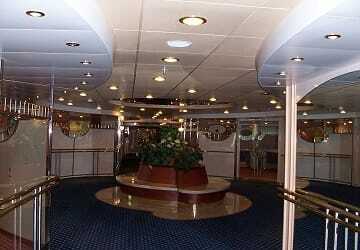 There is the pet area but no-one that control people with the pets in the common area inside the boat. On the outbound on the 18/07/14 we couldn't sleep because of the uncomfortable and old seats. That's why people prefer to sleep on the carpet. The common area (bar, game room and toilets) was clean. Only who booked with a deck space and paid less, could sleep on the sofas at the bar. So they paid less to have a better accomodation. Boarding time needs to be improved. So, in my opinion the trip was not too bad but they all need more organisation. "Perfectly punctual - badly organised at the restaurant"
We should have been given a sticker for the motorbike in Genoa and board. It's how it works everywhere else. No, there we had to get our ticket in an office on the second floor of the building. It's not practical at all and the ferry was leaving shortly afterwards. The schedule was respected though, it was perfect! Another negative aspect is the lack of organisation of the staff in the restaurant, the dishes are running out quickly, plus they are not very good (the chicken was barely cooked). For breakfast, there was one person working and the rest of them was watching her.